Now DIY LAWYER brings to you a brand-new instant online service offering divorce and legal separation at an incredible low price. Do you know how easy it is to obtain a low cost divorce or legal separation? Let DIY Lawyer’s 12 years of experience and thousands of satisfied customers be your guide. 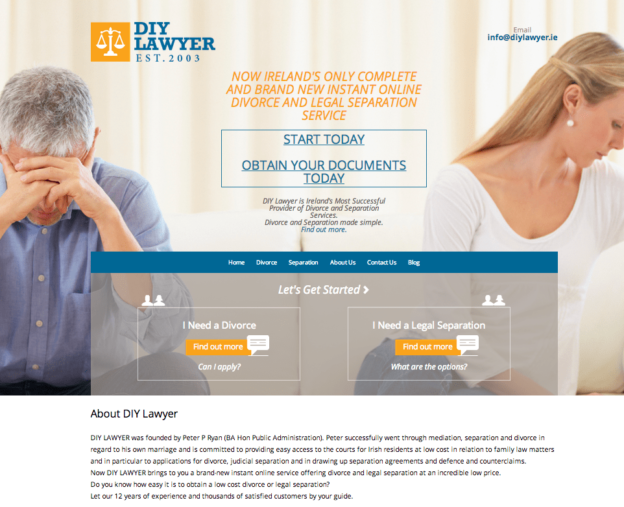 The brand new DIY Lawyer website is Ireland’s ONLY complete and instant Online Divorce and Legal Separation Service, with their standard online divorce starting at just €290! This entry was posted on January 6, 2015 by admin.